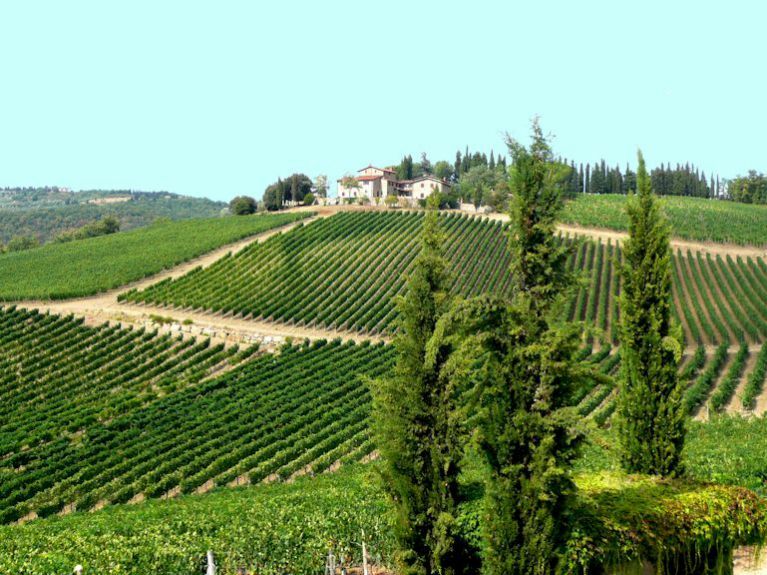 Chianti Classico guided wine tour offered by Tuscan Wine Tours. 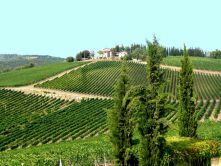 This tour is for visitors to Tuscany who would like to have fun with other people who have a special interest in common: to learn about and enjoy Tuscan Chianti wines. 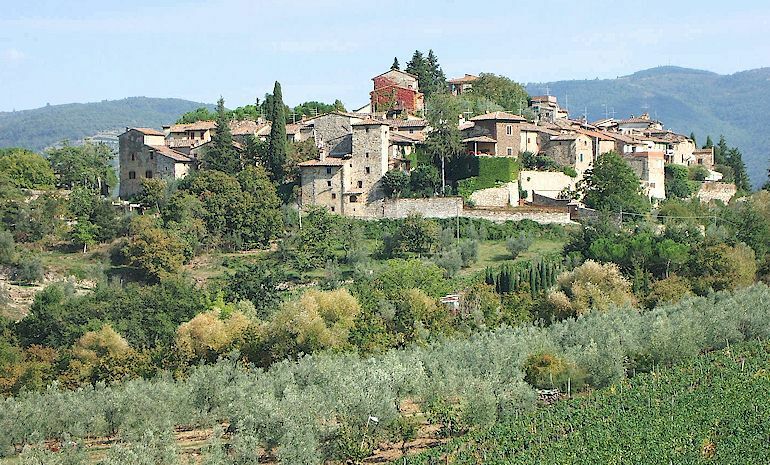 During this full day trip to the Chianti countryside, you will have the chance to savour carefully selected examples of Chianti's wine production in the company of other enthusiastic wine lovers. You will discover authentic Tuscany by tasting high quality wines ranging from the traditional Chiantis to the more exotic Supertuscan reds. And not just wines - you will also sample the best extra virgin olive oil and traditional tuscan food. Last but not least, during the tour we will drive through some of the most scenic landscape in Italy, in areas such as the Colli Fiorentini near Montespertoli and Chianti Classico near San Donato in Poggio, San Casciano, Greve in Chianti, Montefioralle, Castellina and Vertine. • 9.30 a.m. Departure from Florence, with an introductory explantion of the countryside and wines as we drive. If you have a group staying in the country near Florence, please ask if we can arrange to collect you at or near your accommodation. • 10.30 a.m. Arrive at the first winery where you will meet the owner or the oenologist. During the cellar tour, you will learn about the wine making process. Tasting the wines and extra virgin olive oil will be effectively a mini wine-tasting class. • 1.00 p.m. Lunch at a second winery. • 3.30 p.m. Arrive at the third winery for another wine and olive oil tasting with a detailed commentary and discussion.